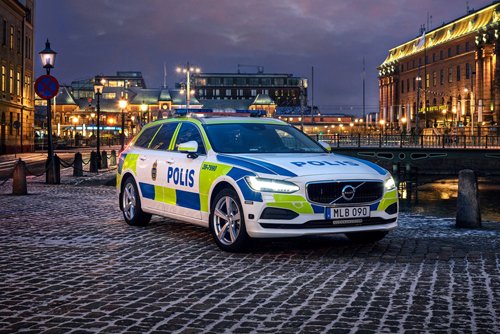 2017 – Volvo V90 Polis on Stora Nygatan in Göteborg, Sweden. 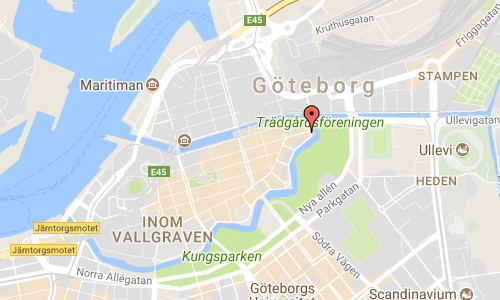 Stora Nygatan is a street in Göteborg and approximately 530 meter long, which stretches from Kungsportsplatsen to Drottningtorget along the Vallgraven. 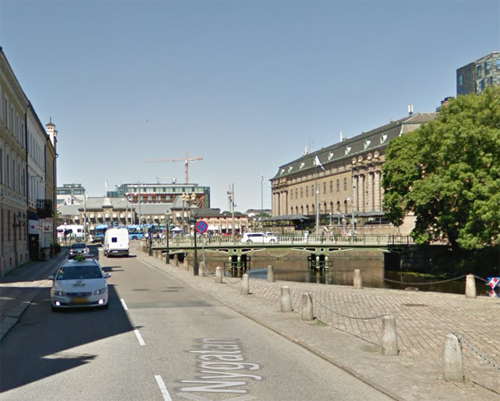 The proximity to the water was more apparent in the street name 1847 when the planned street was called Strandgatan. The first house in the street was built in 1850 and the street got its current name in 1852. In 1900 its length was 570 meters, the average width was 12 meters and the area 6,770 square meters. At Stora Nygatan there is an unofficial address, Stora Nygatan 17 ½. The houses on Stora Nygatan 17 and 17½ were built in 1856 as sister buildings. The story behind the numbering is that the grocery store August Abrahamson bought the site in the 1850s and built a house there that was ready in autumn 1852. Too late, it was discovered that there were two plots but only one number. 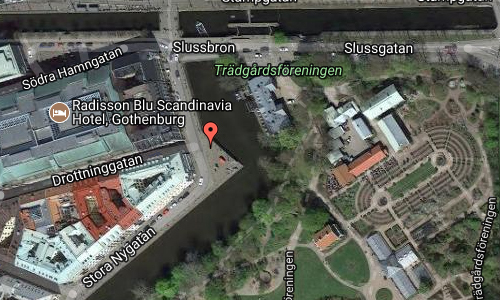 The address was therefore Stora Nygatan 17½. In 1868 the property was bought by wholesaler Robert Dickson.